Welcome back for Week no. 17! If you are just beginning a piece for the #BohoSAL, check out my previous posts here. And if you are new to embroidery and want to learn the basics, check out my embroidery book, Boho Embroidery for everything you need to get started! My stitch along piece for the week is going to be stitched at a slightly rapider pace than I normally choose to work at for a project like this, but it is only because I am up against several deadlines. That doesn’t take away (too much!) from my enjoyment of a project, but you are going to see a quicker turnaround from start to finish on this hoop! 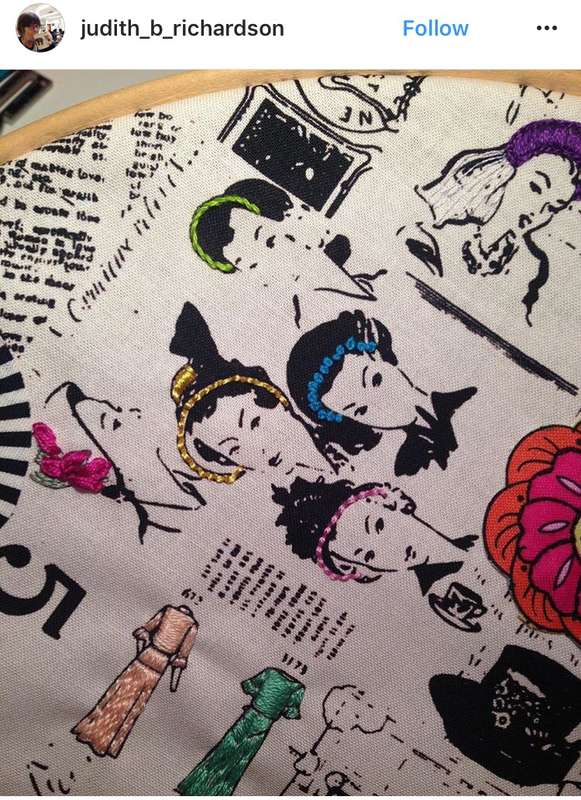 The fabric that I am using is by Cori Dantini, who has been one of my favorite artists for several years now. I have prints of her work (which you can buy in her etsy shop) and her fabric was what I used to make some of my very first hoops! You can see some of the projects that i’ve made here and here and here and my very first one here! I love to see the progression of my stitching! Here is a picture of the fabric before I have stitched anything. I have had lots of requests that I show a complete before and after and i’m doing that with this one! So here she is along with several threads I plan on using: the mohair spools and sea grass are from The Thread Gatherer and the Eleganza Perle Cotton are from Sue Spargo. She needed some purple Mohair strands in her backstitched hair and I used the Sea grass in the flowers to the left of her and running through the blanket stitch along the border. I also added beads added a whip stitch alongside of the blanket stitch. 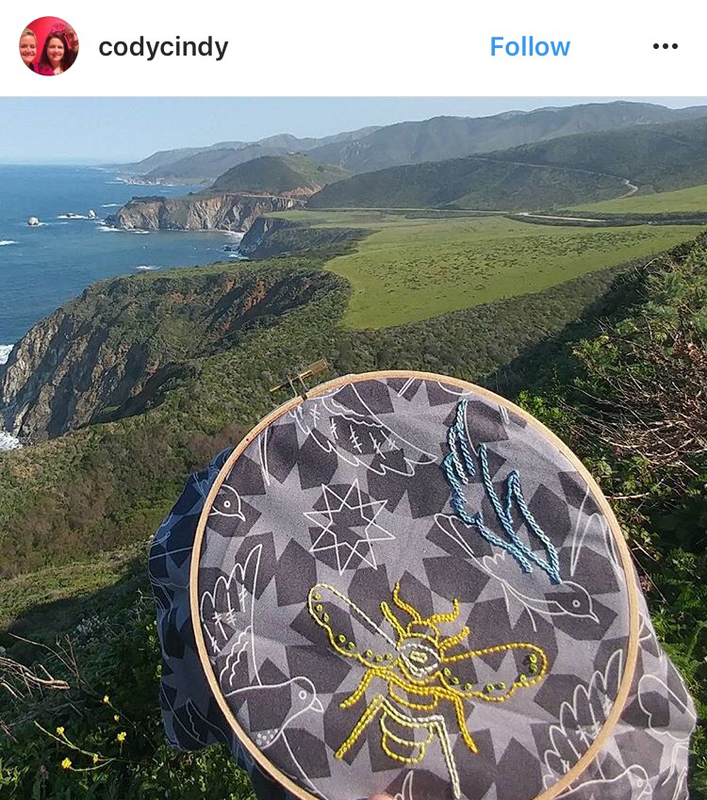 I’m pretty sure @codycindy wins the award for best Boho Stitch Along location! Maybe we need to make that be a thing! This is just beautiful and i’m always a fan of anything Alison Glass and bees! And seriously, that backdrop gets all the heart eyes from me! 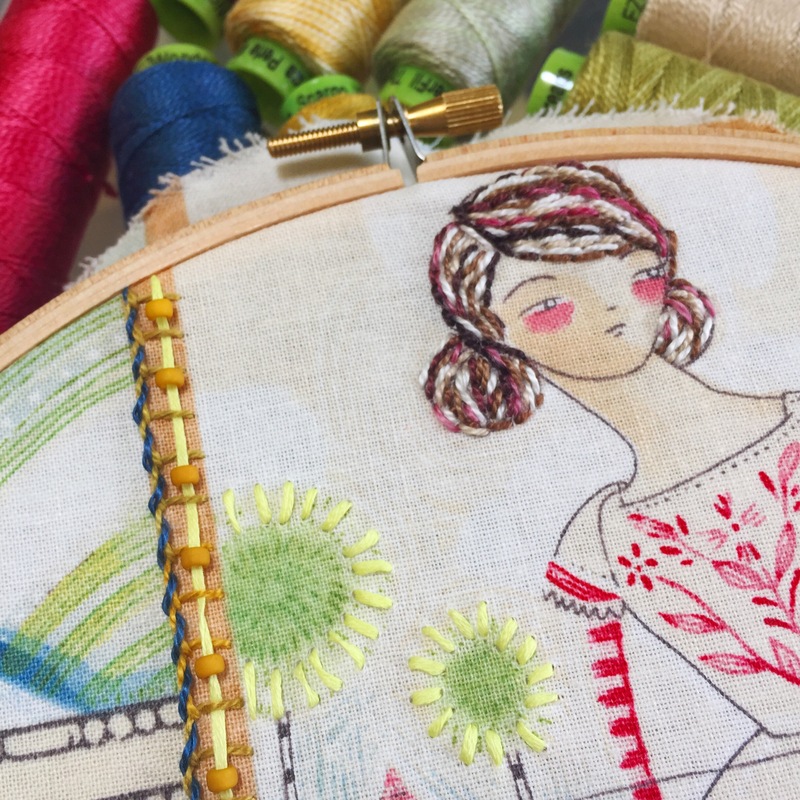 How much fun is this piece from @judith_b_richardson …such intricate detailing on each lady! 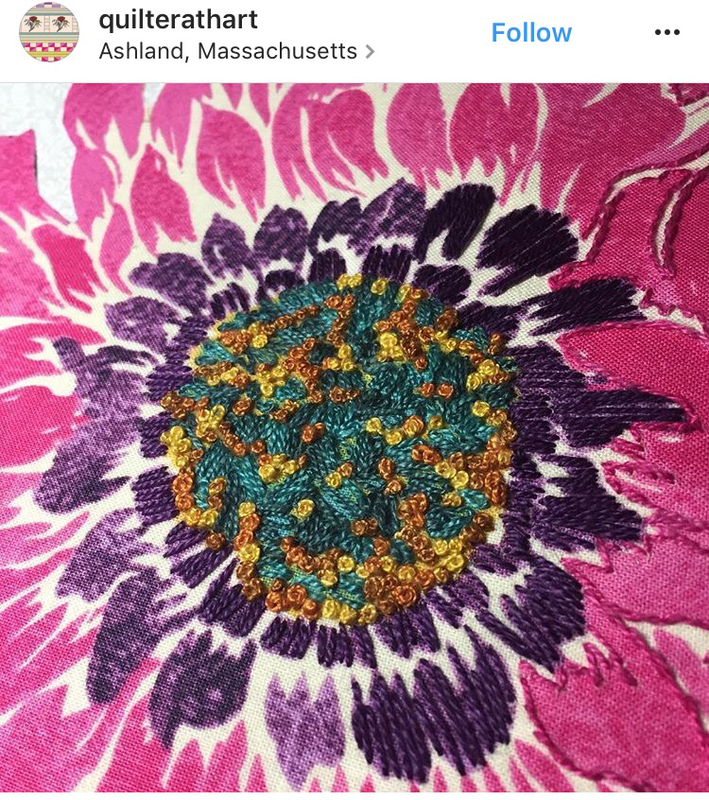 Check out her feed too for lots of fun bead/embroidery combos! I just love the simplicity of a backstitch and @craftingwithoutkids shows just how beautiful it can be added as an outline on the leaf. Ok, seriously?! 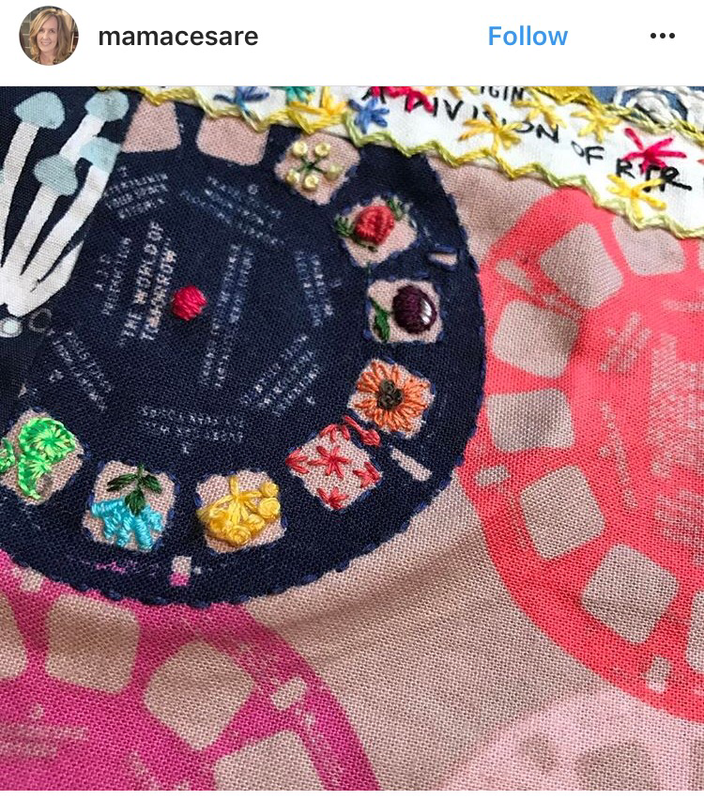 @mamacesare is adding the tiniest of details to these little tiny squares and i’m just smitten with both the colors she chose and the details themselves! 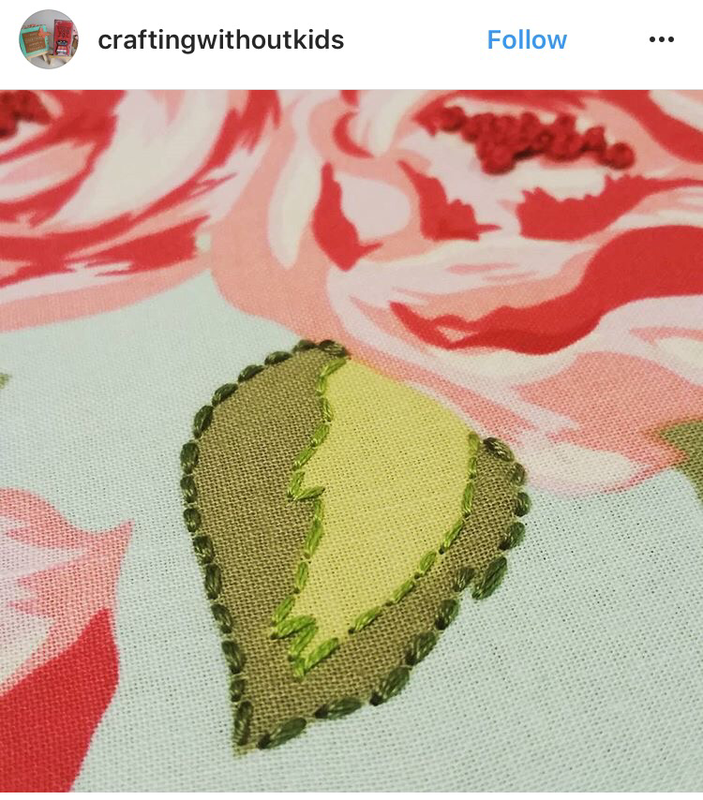 Look at the beautiful detail in the center of this flower that @quilterathart has been adding. I just love the teal/brown/gold combo alongside the purples and pinks! 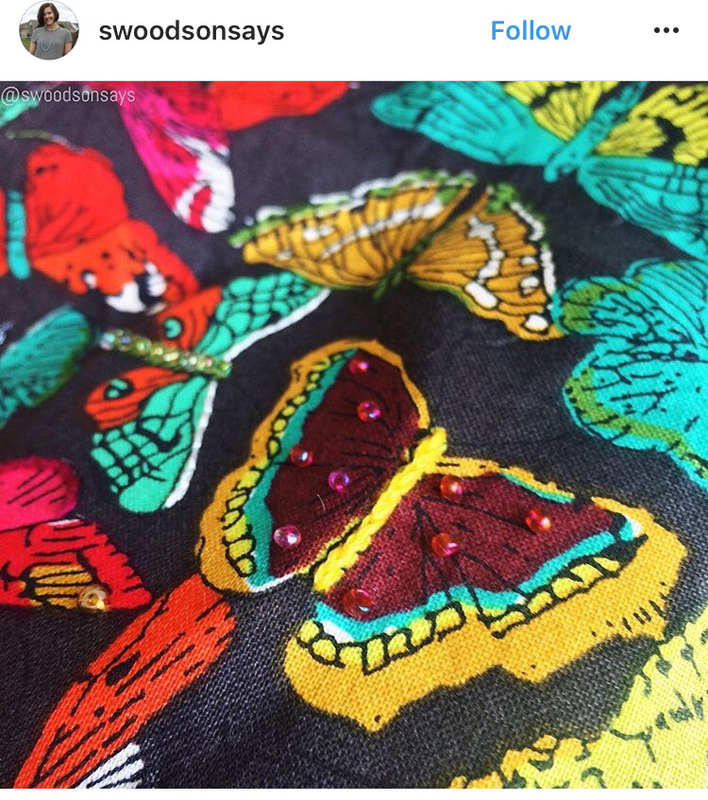 @swoodsonsay has been adding such little details to these butterflies and I think they are just too sweet! In case you missed it, Abby Glassenberg of While She Naps had me as a guest on her podcast. You can listen to the podcast here or on iTunes. And while you are at it, check her out on Instagram. 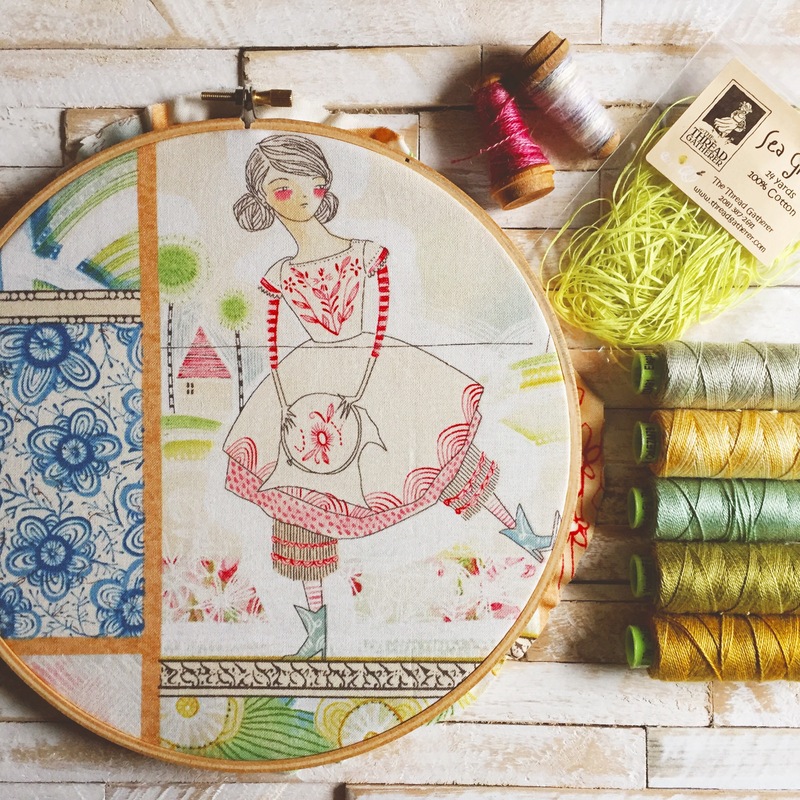 We talked Boho Embroidery, Etsy, Instagram and lots of other great stuff! Enjoy looking through the Stitch Along posts and i’ll see you back here next week!